"First in Caring," Kathryn Matthews, Sermon Seeds, 2018. The Adventurous Lectionary, Pentecost 18, Bruce Epperly, Living a Holy Adventure, 2018. Ministry Matters, September 20, 2018. The Lectionary Lab, Proper 20B, the Rev'ds Dr. John Fairless and Delmer Chilton (aka "Two Bubbas and a Bible"), 2012. Jesus Now, Proper 20B. Lectionary, study and worship resources from Faith Futures Jesus Then & Now. Rumors, for September 20, 2009, Ralph Milton, "Sermon helps for preachers with a sense of humor." "Welcome the Child," Debie Thomas, 2018. Living by the Word, Bruce Epperly, The Christian Century, 2018. Preaching Tip, Bob Eldan, 2018. "She Can Bring Home the Bacon," Art & Faith Matters, Lynn Miller, celebrating our creative and living God by generating art and architecture resources for congregations and individuals. Art and Faith Matters facebook page contains additional resources. Lectionary Liturgies, John Edward Harris, Summit to Shore, 2018. "Real Wisdom Indeed," Connections - Next Sunday Resources, 2018. "Scriptural Wisdom Makes Ecological Sense," Patricia Tull, Earthkeepers Preaching, 2018. 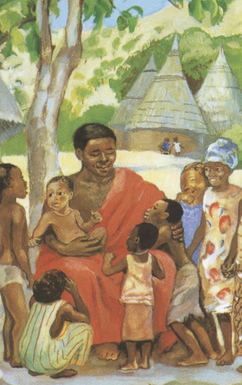 "Saying Yes to Women and Children," Dan Clendenin, The Journey with Jesus, 2012. "It's Bigger than Children," Katie Munnik, Presbyterian Record, 2012. "Down the Up Escalator," Brian McLaren, A Sermon for Every Sunday. Free audio. Video by subscription on-demand. "First in Caring," Kathryn Matthews, UCC, 2018. Mustard Seeds, Proper 20, 2018. A lectionary-based ideas resource for leaders of contemporary worship, Ann Scull, Gippsland, Australia. Lectionary Liturgies, Ordinary 25, 2018, Thom M. Shuman, Presbyterian Church (U.S.A.). Lector's Notes, Ordinary 25, Gregory Warnusz, Saint Jerome Parish, Bellefontaine Neighbors, MO. Notes and commentary for those reading this week's lectionary texts to the congregation. Meditation Prompts and Prayers, "The Secret Purposes of God," Proper 20B. Suzanne Guthrie, At the Edge of the Enclosure. The Timeless Psalms: Psalm 1, Joan Stott, prayers and meditations based on lectionary Psalms, 2015. HermanoLeón Clipart, Ordinary 25B. Free clipart, backgrounds, slides, etc. "Woman of Valor," Faith Element Discipleship System, "Setting the Bible Free," 2012. Welcome Mat, Dollar Store Children's Sermons, 2015. "Water Deep," Brenton Prigge, 6.7.9.6.6.8, New Hymn, 2006. Hymns of the Spirit Three, Proper 20B, Richard E. Hurst, Universalist National Memorial Church. Psalm 1, Isaac Everett, commentary and exegesis by Alan Cooper, The Emergent Psalter, 2009. Psalm 1 set to Mendelssohn (77 77 77 77 77), Psalm 54 set to Finlandia (11 10 11 10 11 10) by Dale A. Schoening, Metrical Psalms. Hymn and Song Suggestions, Proper 20B, 2018, annotated suggestions from Natalie Sims, Singing from the Lectionary. Hymn and Song Suggestions, International Day of Peace, 2009, annotated suggestions from Natalie Sims, Singing from the Lectionary. Lectionary Hymns, Ordinary 25B, National Association of Pastoral Musicians. Choral Anthem Project, Ordinary 25B, National Association of Pastoral Musicians. Worshiping with Children, Proper 20B, 2015. Including children in the congregation's worship, using the Revised Common Lectionary, Carolyn C. Brown, 2012. "One Sound," Frances Woodruff, On the Chancel Steps, 2012. "Top of the Hill," Dianne Deming, Childrens Sermons Today, 2012. 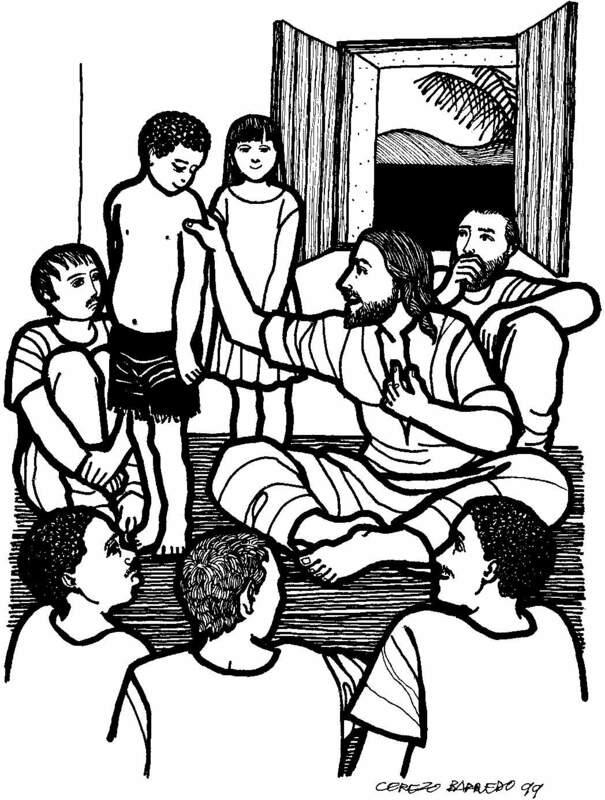 Story for Children's Worship and Family Activity, Ordinary 25, at word-sunday.com: A Catholic Resource for the Lectionary by Larry Broding.